11th Principle: Consent! – Start a conversation about consent! Thank you for your interest in promoting Enthusiastic Consent! We’re now a program of the 501(c)3 non-profit organization, Enthusiastic Consent, INC. Help support our work by donating via Network for Good. Please also join us on our 11th Principle: Consent! Facebook page or on the 11th Principle @ Regionals, BRC, & Beyond Facebook Group or email us at 11th.principle.consent (at) that gmail dot com place! We love to collaborate and share. Stay tuned for our new & improved online store in early 2019! 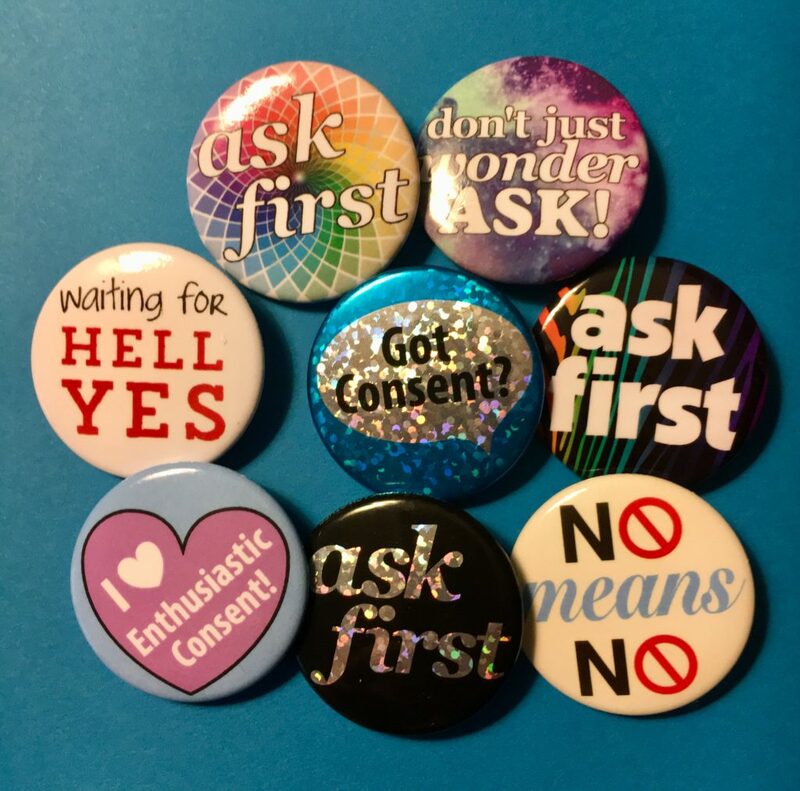 The 11th Principle: Consent! promotes awareness about Consent within the burn community (and beyond!) through demonstration, interaction and participation. This website provides resources and materials for organizers of burns and festivals to easier promote the message of Enthusiastic Consent at their events.